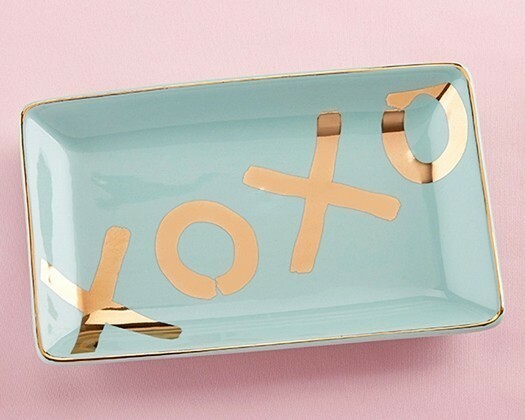 Dimensions: 9 /10" x 3 9/10" x 6"
This rectangular, mint-colored ceramic trinket dish features the universal symbol for hugs and kisses ("XOXO") in gold foil with gold foil edges to complete the look. Your bridesmaids will love having one of these dishes on their vanity to hold little treasures and brighten their day. Hand wash only.